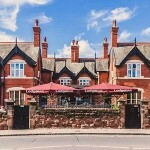 Egerton Arms in Upton has an outside area. Goodwins in Upton serves real ale. Frog Hotel in Upton has a beer garden. The pub has a car park, it has an outside area. Frog Hotel has a smoking area. The pub has free WiFi, it shows football on TV. Frog Hotel has terrestrial TV. Bear's Paw in Newton by Chester has a beer garden. The pub serves food, it has an outside area. Bear's Paw serves real ale. The pub has free WiFi, it is a member of Cask Marque. 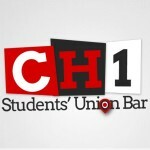 CH1 is the Students' Union Bar at the University of Chester. Follow for info on upcoming events, special offers and general banter. Wheatsheaf Inn in Upton has a beer garden. The pub has a car park, it has disabled facilities. 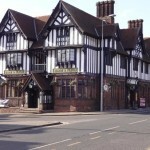 Wheatsheaf Inn is a family friendly pub. The pub serves food, it serves real ale. 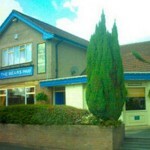 Wheatsheaf Inn is a member of Cask Marque. Royal British Legion Club in Upton has a beer garden. The pub serves food, it has an outside area. Royal British Legion Club serves real ale. George & Dragon in Chester has a beer garden. The pub serves food, it has an outside area. George & Dragon serves real ale. The pub has free WiFi, it is a member of Cask Marque. Dee Miller in Chester has a beer garden. The pub has a car park, it gives a warm welcome to dogs and their owners. Dee Miller has free WiFi. The pub has a dart board, it has DJ's. Dee Miller has live music events. The pub holds Poker Nights, it has a pool table. Dee Miller holds quiz nights. The pub has a big screen, it shows football on TV. Dee Miller has the Racing Channel. The pub shows rugby on TV, it has terrestrial TV. 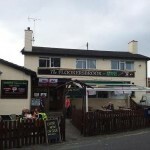 20/10/2013 Now a great pub trying to lose its bad rep.
At the Flookersbrook we have sky sports and bt sports. On champions league nights we can show 2 games. We have a pool table and 7 dart boards. Beehive in Chester gives a warm welcome to dogs and their owners. The pub is a family friendly pub, it has an outside area. Beehive has a smoking area. The pub has live music events, it has a pool table. Beehive holds quiz nights. The pub has a big screen, it shows football on TV. Beehive has terrestrial TV. Chichester Arms in Chester has a beer garden. The pub serves real ale, it has a smoking area. 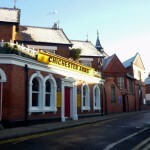 Chichester Arms has live music events. The pub has a big screen, it shows football on TV. Chichester Arms has terrestrial TV. 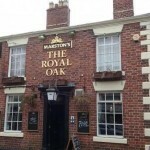 The Royal Oak is a friendly traditional pub situated on Faulkner Street in Hoole, Chester. Railway in Chester has live music events.